We will be discussing and reviewing the most affordable and cheapest data plan on MTN, Etisalat, Airtel and Glo available for 2017. This article will be updated frequently to include any new cheap data plan that comes in any time. A smartphone without internet or data is like an ordinary torchlight phone that is why most smartphone users try everything possible in other to have an active internet data service in their devices. Without data, there is nothing like facebooking, twitting, using whatsapp, Instagram, BBM, telegram or surfing the Internet for information like you are doing right now. This is how important Internet data is to us. You need a lot of information to climb above your peers in this our generation and the easiest way to get these information is via the Internet which is filled with any information you can imagine of. A good use of the internet can change your whole life for the better. 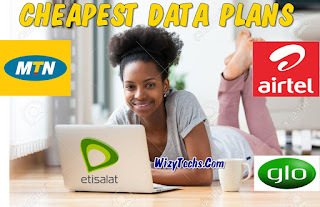 However, most users wish to have a lot of data (MB) on their mobile phones and PC but due to the high cost of subscribing to data packages in Nigeria, some people withdraw and start managing the meagre 10mb allocated to every recharge of N100 which is mostly used for chatting because it is too small for browsing. Many Nigerians are still complaining of the expensive nature of data subscriptions in the country when compared to other countries but it seems both the network providers and Nigeria Communication Commission (NCC) haven't heard the yarn of the masses. 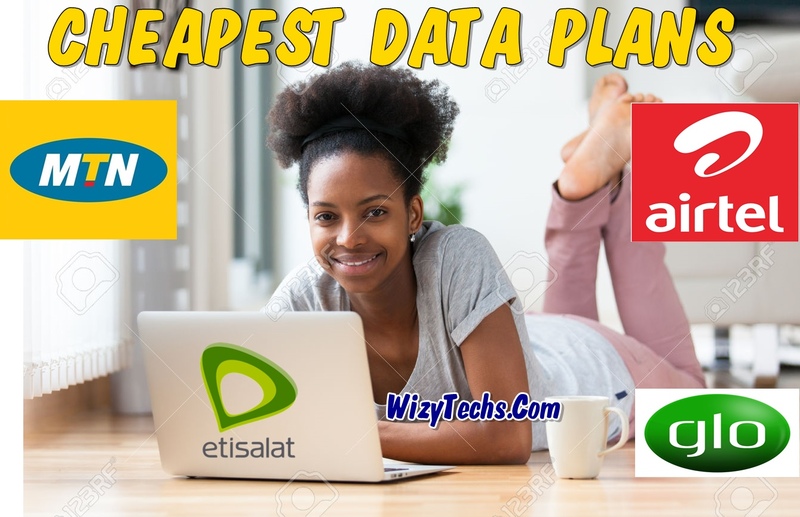 Having said that, there are still "affordable data plans" on various networks in Nigeria including MTN, Airtel, Glo and Etisalat that can suite your need, whether you are a heavy downloader or a fair internet user. Remember that these plans are official. Some people prefer the official data plans in other to run away from the hassles of tweaking. Do you know that you can brows and download unlimited on your MTN line with just N150? I recommend this plan for heavy downloaders and internet users like me. I recently tried this package on my main MTN line but it wasn't eligible so i used my second line and it was successful. I used up to 7GB in just 5 hours because the MTN network in my location is cool. The data is unlimited and valid for 24 hours, after which you will be deactivated. How will i activate MTN Unlimited daily data plan? To subscribe to this plan, load your MTN line with N150 and dial *567*59#. This package works on all smartphones, PC and iOS. 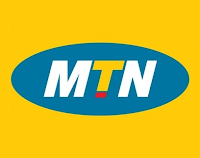 Unfortunately, it selects SIM, that is to say not all MTN SIM cards are eligible for this package. These two data packages were recently introduced by MTN and it offers more affordable data than the previous packages. In fact, these plans is a thorn on the flesh of data resellers who use to sell 1gb for N800. Now you get more cheaper data officially from MTN direct. These plans can be used on all devices including android, windows mobile, iOS Symbian, PC etc. At the moment, MTN BBLITED is not working at all but hopefully i will publish a fix for it soon. BBLITED allows you to use MTN BIS plan on android devices. This data package was secretly introduced by MTN without public notice and i see it as an even better option to the 1.3GB plan. This data plan was launched by MTN recently and it is a plan that lets MTN subscribers to enjoy 500MB worth of data with just N25 in your airtime. => Your MTN line must be on the MTN Pulse tariff plan, but if you are not sure of the plan you are already on, simply dial *123# to confirm which plan you are on or just dial *406# to migrate to MTN Pulse plan. To Borrow, dial *606# and you will be given options to select. Remember you must have not more than N12 in your balance to be eligible. 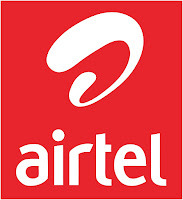 Airtel is one of the friendly networks for Internet users. No surprise they go by the nickname "the smartphone network". Airtel network is very strong in many locations of the country and they offer some of the cheapest data packages for any device but the major drawback to airtel data plans is how their data is been zapped. In fact, they deduct data twice the normal way it should be deducted. But now there are airtel plans that doesn't zap data. Follow me along. This is the newly introduced airtel night plan after the previous unlimited plan was scrapped. In this new plan, you need to migrate to Airtel SmartTribe tariff before you can enjoy it. This data night plans works on all devices, Java phones, Symbian, Android, iPad, iPad, PC with no special settings. Make sure you have at least N100, N200 or N300 on your airtel line, depending on the plan you want to subscribe for. Reply with 1, 2 or 3 for either 10gb, 20gb or unlimited plan respectively. To subscribe for airtel 1GB data plan, dial *496# it is valid for 30 days. Airtel introduced this data plan that offers subscribers "750MB for N500" Naira just like MTN 750MB data plan but in this airtel case, it is valid for just 14 days while that of MTN valid for one month. ✔ You can check your data balance by simply dialing *140#. This data plan is meant for social media applications but you can use it with opera mini if you change your phone APN to the one i will give you below. As i told you earlier, you can browse with this plan which is only meant for social media but the trick is changing your airtel APN to the right one and use Opera Mini to brows as it doesn't work on UC browser. Am still trying to see how to use it on PC and maybe use it to power all applications using VPN apps like Psiphon and Netloop. This data plans were introduced by airtel to accommodate all categories of phone users even those in the village where there is no 3g network.The only drawback to this cheap data plan is that it only works on 2g network. To subscribe for Airtel 2GB for #200, dial *482# and it lasts for 14 days. Airtel triple data offer gives customers up to 100% data bonus on data purchases or renewals on the network. This is another opportunity for airtel subscribers to get more value from their subscriptions. Just like airtel, glo also have night plans but unfortunately, the data plans are capped unlike in airtel where it is unlimited. Just dial *777# and follow the prompt [Data Services » Buy Data » Night and Weekend plans], then select 1 for Night plan or 2 for weekend plan. 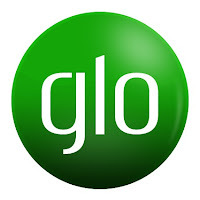 Its so sad, Glo Blackberry plan has been reduced to 3GB For N1,400 and N1,500 respectively. The N1400 plan zaps a lot while that of N1500 is charged at normal rate. Dial *777*23# For N1,500 or dial *777# and follow the prompt respectively. It works on BB10 and Android who’s IMEI has been tweaked. Though for those that prefer tweaking, you can use Etisalat socialme which gives you unlimited data package for just N500 valid for one month. There you have them. These plans are official and meant for those that are not familiar with tweaking their phone in other to enjoy better data packages. I hope it will go a long way in helping you decide or choose the best data plan for yourself. Remember this page will continue to be updated with any latest affordable data plan. If you have any question concerning this, kindly use the comments box below and i will try my best to guide you. Keep up d good wrk bro....u're simply d best! Please consider thee telegram option. It's even an idea of luring people to get to using it and it's far better compared to whatsapp in terms of features minus the calling option though. Wizy... is d airtel nite plan capped or its unlimited? Wizzy the airtel unlimited night plan is the speed throttled cause mine was at 700kb/s then all of a sudden dropped to below 200. is there a way out ?? Was it the 100 naira own or the 200 own you did? No Sir. Airtel has discontinued the unlimited timebase night plans but you can go for mtn night plans as alternative if you wish to download stuffs. Glo is the best cheap plan now. Wizytech is the airtel opera mini sub still working? Nice Post And Helpful one Here. Naijatechviral is wishing everyone Xmas celebration and prosperous new year in advances. NAIJATECHVIRAL- Wishing everyone Xmas celebration and prosperous new year in advance.